This girl sporty quarter 6 pair pack has great features: half cushion foot & rib comfort top! 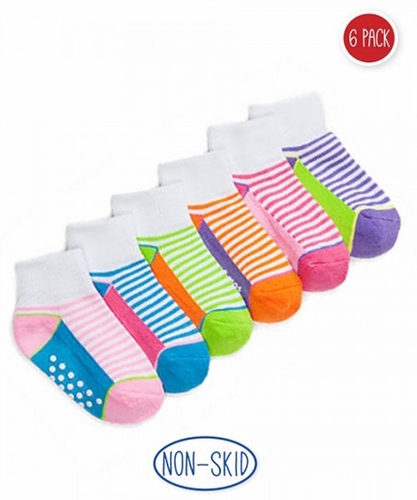 Only sizes Infant & Toddler have no-slip nonskids (shown in image). Size Small does not have nonskids.